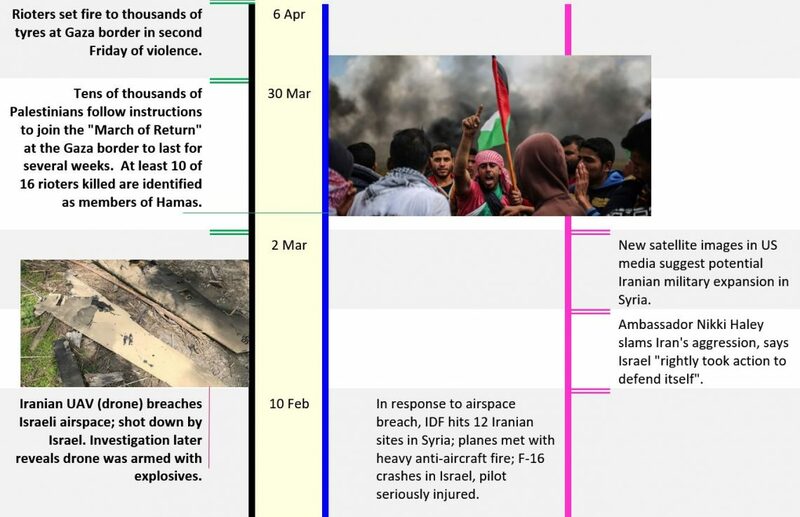 When viewing the violence at Israel’s borders, it is important to know the sequence of events to better understand the context. 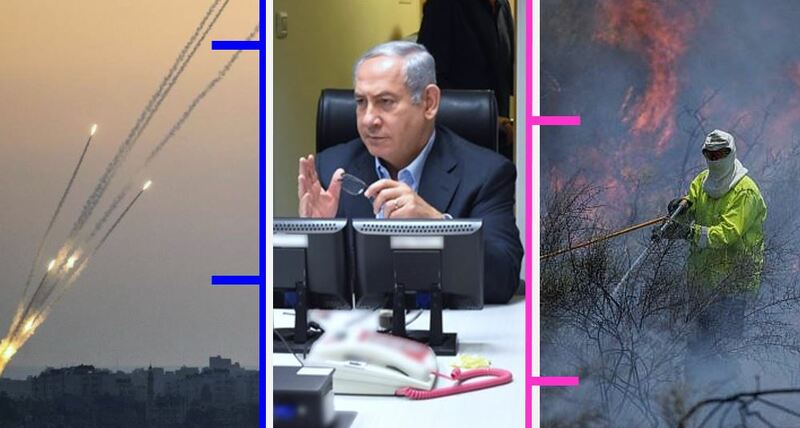 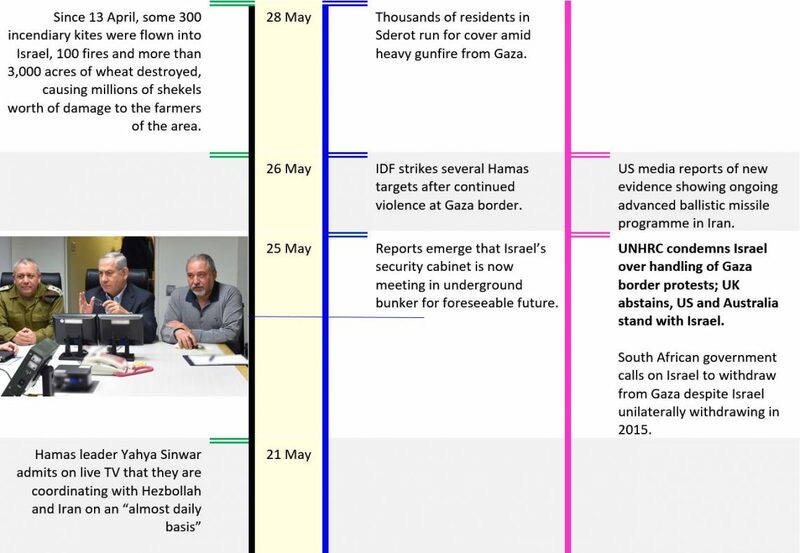 This is why we have produced this timeline of the activity at Israel’s northern and southern borders over the past few months, including the very latest. 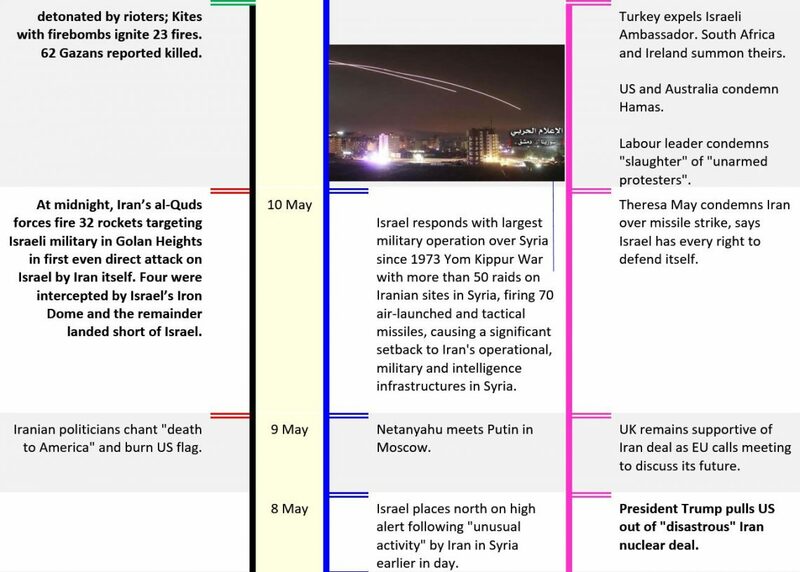 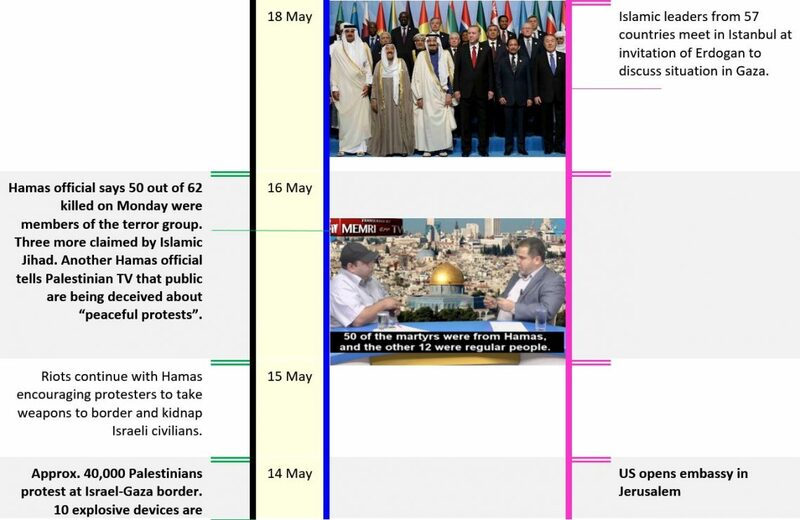 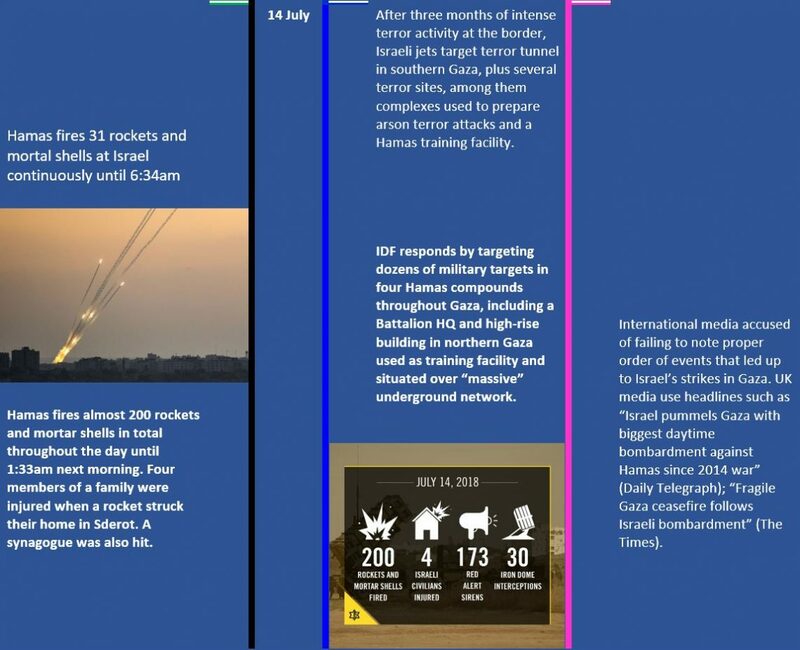 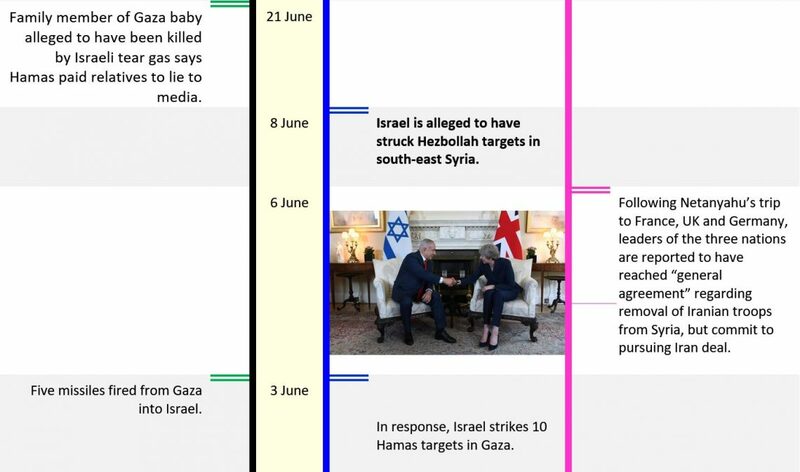 Our timeline covers every major event and key moment including attacks from Gaza and Syria, Israel’s actions and response from the international community. 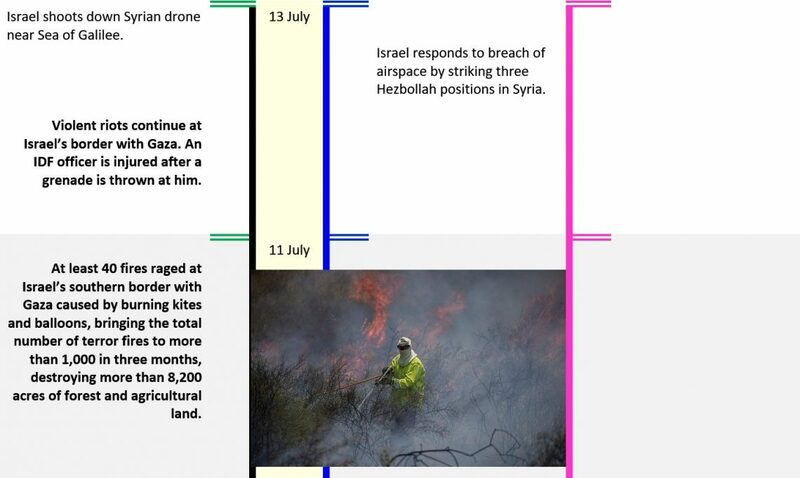 Timeline is in descending date order. 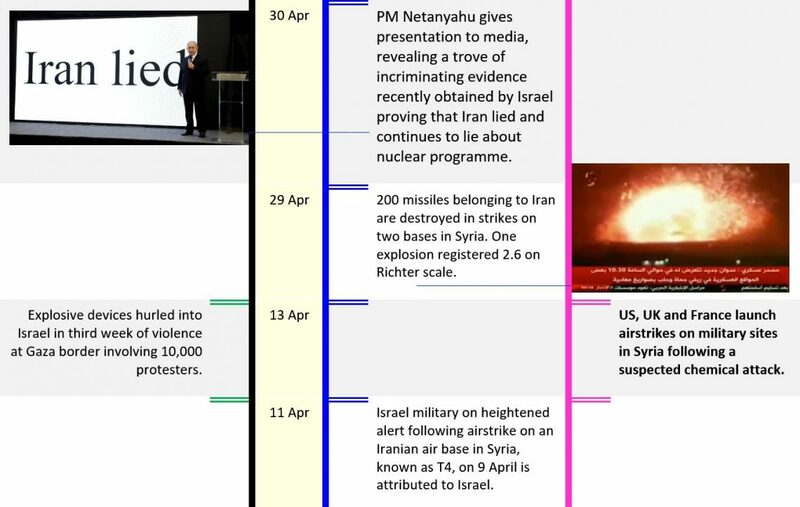 Events within the day are ascending where relevant.